Dezign Lover Blog : Choose decorative metal ceiling for a touch of absolute elegance! 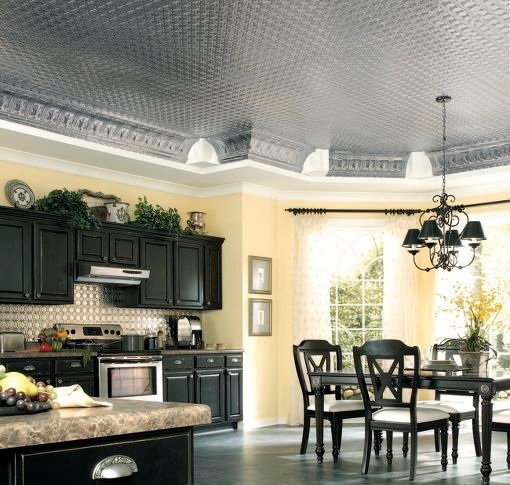 Home > Blog> DECOR>Choose decorative metal ceiling for a touch of absolute elegance! What if the ceiling became a new territory of expression? Why limit ourselves to 4 walls when we can extend our creativity to the ceiling? Often forgotten in our decor, the ceiling is a beautiful surface to exploit. Many options can be considered to give it the look while remaining consistent with your interior design. Indeed, "the ceiling contributes to the spirit of a place". Discover our most beautiful ideas to sublimate this space of the house. We were inspired by the bourgeois houses or Haussmann apartments, whose ceilings are very often magnificent. 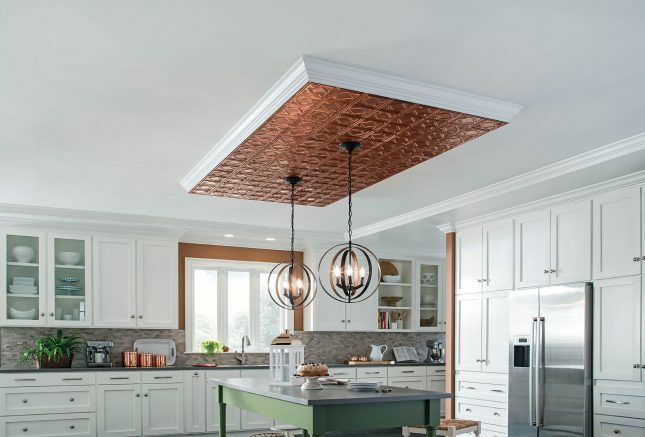 We chose for you a fine and elegant selection of copper or tin ceilings to bring a touch of elegance to your home decor. Photo source armstrongceilings.com Discover our most beautiful ideas to sublimate this space of the house. We were inspired by the bourgeois houses or Haussmann apartments, whose ceilings are very often magnificent. 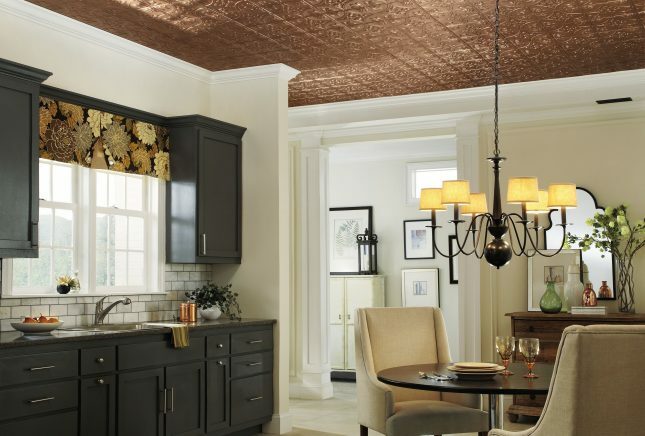 We chose for you a fine and elegant selection of copper or tin ceilings to bring a touch of elegance to your home decor. The patterns on the real metal and tin-like ceilings are typically retro-style reconstructions of 19th-century pewter ceilings. The eye is captivated by these ceilings and the architectural elements give a more open and impressive look to the room. The ceiling becomes a seductive central point. “WOW! “ effect Guaranteed. This beautifully proportioned room is totally transformed thanks to the presence of the majestic copper ceiling. The color of the copper itself adds a sophisticated style that captures the attention. Copper enhances most decorations with its rich ocher patina and warm shades. The metallic finish also has a reflective glow that opens up a space, giving it a bigger, more energetic look. Let the warm, timeless look of copper glow on your ceiling and see how beautiful this visual element can change the look of your room.